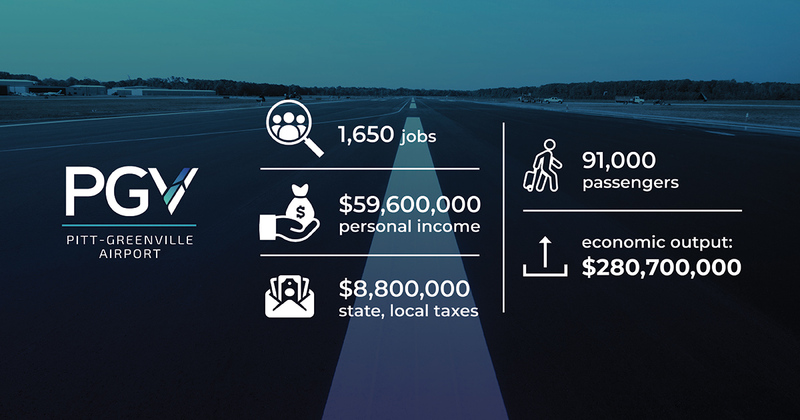 GREENVILLE, N.C., Jan. 28, 2019 – Staying true to the state motto “First in Flight,” North Carolina airports contribute approximately $52 billion to the state’s economy. A recent report by the North Carolina Department of Transportation’s Division of Aviation found that Pitt-Greenville Airport’s (PGV) economic output soars to $280.7 million every year. It also generates 1,650 jobs, $8.8 million in state and local taxes and 59.6 million in personal income. With 1,000 acres, two runways and all-jet service, PGV has five flights serving up to 200 people daily. In the past two years, investments of $19 million brought expansions to the terminal, along with necessary improvements, upgrades and repairs. The longest runway can accommodate aircraft as large as the Boeing 757, and its general aviation service includes about 70 private craft. The report examined N.C.’s 10 commercial service airports including PGV, as well as the state’s additional 62 general aviation airports, which included nearby Tarboro-Edgecombe, Rocky Mount-Wilson, Martin County and the Kinston Regional Jetport. The study showed a dramatic increase from $31 billion in economic output from 2016—due to economic growth, a new method of calculating jobs at commercial service airports and the impact of business travelers to those airports. 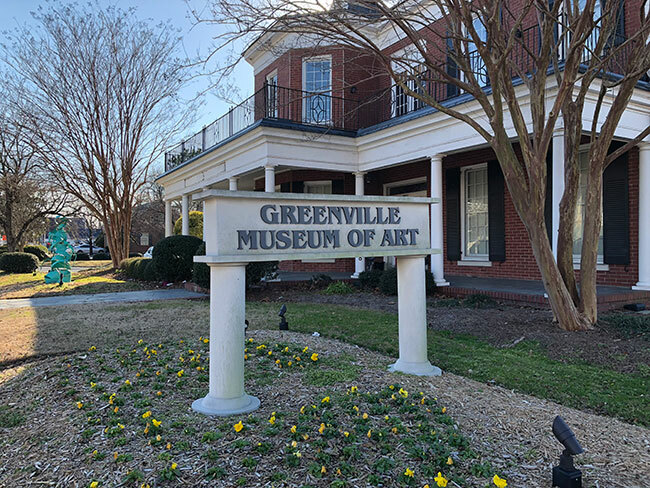 As PGV continues to evolve and make necessary changes for future, it remains a critical asset to the community and local economy. See the full report at www.ncdot.gov.